Ukrainian /juːˈkreɪniən/ ( listen) (українська мова ukrajinśka mova) is an East Slavic language. It is the official state language of Ukraine and first of two principal languages of Ukrainians; it is one of the three official languages in the unrecognized state of Transnistria, the other two being Romanian and Russian. Written Ukrainian uses a variant of the Cyrillic script (see Ukrainian alphabet). The first theory of the origin of Ukrainian language was suggested in Imperial Russia in the middle of the 18th century by Mikhail Lomonosov. This theory posits the existence of a common language spoken by all East Slavic people in the time of the Rus'. According to Lomonosov, the differences that subsequently developed between Great Russian and Ukrainian (which he referred to as Little Russian) could be explained by the influence of the Polish and Slovak languages on Ukrainian and the influence of Uralic languages on Russian from the 13th to the 17th centuries. Some scholars see a divergence between the language of Galicia-Volhynia and the language of Novgorod-Suzdal by the 12th century, assuming that before the 12th century, the two languages were practically indistinguishable. This point of view is, however, at variance with some historical data. In fact, several East Slavic tribes, such as Polans, Drevlyans, Severians, Dulebes (that later likely became Volhynians and Buzhans), White Croats, Tiverians and Ulichs lived on the territory of today's Ukraine long before the 12th century. Notably, some Ukrainian features were recognizable in the southern dialects of Old East Slavic as far back as the language can be documented. The Polish language has had heavy influences on Ukrainian (particularly in Western Ukraine). The southwestern Ukrainian dialects are transitional to Polish. As the Ukrainian language developed further, some borrowings from Tatar and Turkish occurred. Ukrainian culture and language flourished in the sixteenth and first half of the 17th century, when Ukraine was part of the Polish–Lithuanian Commonwealth. Among many schools established in that time, the Kiev-Mogila Collegium (the predecessor of modern Kyiv-Mohyla Academy), founded by the Orthodox Metropolitan Peter Mogila (Petro Mohyla), was the most important. At that time languages were associated more with religions: Catholics spoke Polish, and members of the Orthodox church spoke Ruthenian. All the countries neighbouring Ukraine (except for Hungary) historically have regions with a sizable Ukrainian population and therefore Ukrainian language speakers. Ukrainian is an official minority language in some of them. The Ukrainian language, in common with Serbian, Croatian and Slovene, has developed the ending -mo for first-person plurals in verbs (khodymo for "we walk"). In all cases, it resulted from lengthening of the Common Slavic -mŭ. 1 2 3 4 5 6 "List of declarations made with respect to treaty No. 148 (Status as of: 21/9/2011)". Council of Europe. Retrieved 2012-05-22. 1 2 Alexander M. Schenker. 1993. "Proto-Slavonic," The Slavonic Languages. (Routledge). Pp. 60–121. Pg. 60: "[The] distinction between dialect and language being blurred, there can be no unanimity on this issue in all instances..."
↑ "Ukrainian language". Encyclopædia Britannica. 23 May 2014. Retrieved 8 May 2016. 1 2 "Юрій Шевельов. Історична фонологія української мови". Litopys.org.ua. 1979. Retrieved 8 May 2016. ↑ "Григорій Півторак. Походження українців, росіян, білорусів та їхніх мов". Litopys.org.ua. Retrieved 2012-05-22. ↑ "Мова (В.В.Німчук). 1. Історія української культури". Litopys.org.ua. Retrieved 2012-05-22. ↑ "Лаврентій Зизаній. "Лексис". Синоніма славеноросская". Litopys.org.ua. Retrieved 2012-05-22. 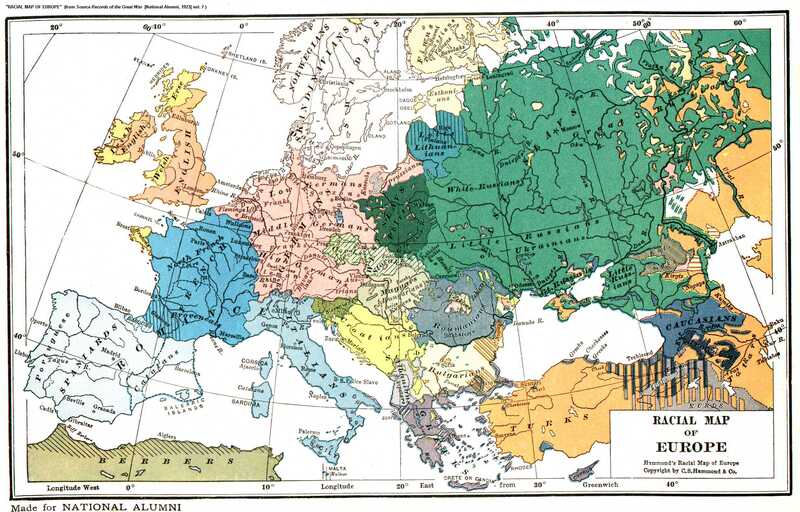 ↑ "The Polonization of the Ukrainian Nobility". Mywebpages.comcast.net. Archived from the original on 2002-06-02. Retrieved 2012-05-22. ↑ "XII. СКОРПІОНИ НА УКРАЇНСЬКЕ СЛОВО. Іван Огієнко. Історія української літературної мови". Litopys.org.ua. Retrieved 2012-05-22. ↑ "Демоскоп Weekly – Приложение. Справочник статистических показателей". Demoscope.ru. Retrieved 2012-05-22. ↑ "Law on Languages of Nations of USSR". Legal-ussr.narod.ru. 1990-04-24. Archived from the original on 2016-05-08. Retrieved 2012-05-22. ↑ Farmer, K.C. (2012). Ukrainian Nationalism in the Post-Stalin Era: Myth, Symbols and Ideology in Soviet Nationalities Policy. Springer Science & Business Media. p. 241. ↑ Archived October 10, 2010, at the Wayback Machine. ↑ "Welcome to Ukraine (See above)". Retrieved November 19, 2005. 1 2 George Shevelov. (1981). Evolution of the Ukrainian Literary Language. From Rethinking Ukrainian History. (Ivan Lysiak Rudnytsky, John-Paul Himka, editors). Edmonton, Alberta: University of Alberta, Canadian Institute of Ukrainian Studies, pp. 221–225. ↑ D-M.com.ua Archived March 2, 2009, at the Wayback Machine. ↑ Horbach, Oleksa (1951). "Argot in Ukraine". habilitation thesis, Ukrainian Free University in Munich. ↑ "Діалект. Діалектизм. Українська мова. Енциклопедія". Litopys.org.ua. Retrieved 2012-05-22. ↑ "Інтерактивна мапа говорів. Українська мова. Енциклопедія". Litopys.org.ua. Retrieved 2012-05-22. ↑ "Північне наріччя. Українська мова. Енциклопедія". Litopys.org.ua. Retrieved 2012-05-22. ↑ "ІЗБОРНИК. Історія України IX-XVIII ст. Першоджерела та інтерпретації. Нульова сторінка". Litopys.org.ua. Retrieved 2012-05-22. ↑ "Середньополіський говір. Українська мова. Енциклопедія". Litopys.org.ua. Retrieved 2012-05-22. ↑ "Maps of Belarus: Dialects on Belarusian territory". Belarusguide.com. Retrieved 2012-05-22. ↑ "Південно-східне наріччя. Українська мова. Енциклопедія". Litopys.org.ua. Retrieved 2012-05-22. ↑ "Слобожанський говір. Українська мова. Енциклопедія". Litopys.org.ua. Retrieved 2012-05-22. ↑ "Степовий говір. Українська мова. Енциклопедія". Litopys.org.ua. Retrieved 2012-05-22. ↑ "Mapa ukrajinskich howoriv". Harazd.net. Retrieved 2012-05-22. ↑ "Південно-західне наріччя. Українська мова. Енциклопедія". Litopys.org.ua. Retrieved 2012-05-22. ↑ "Подільський говір. Українська мова. Енциклопедія". Litopys.org.ua. Retrieved 2012-05-22. ↑ "Короткий словник львівської ґвари". Ji.lviv.ua. Retrieved 2012-05-22. ↑ "Ethnologue report for Russian Federation (Asia)". Ethnologue.com. Retrieved 2012-05-22. ↑ Население Российской Федерации по владению языками (in Russian). ↑ "Various Languages Spoken". Statistics Canada. 2001. Retrieved 2008-02-03. ↑ "Detailed Language Spoken at Home". Statistics Canada. 2001. Retrieved 2008-02-03. ↑ Неофициальный сайт Президента ПМР. "The Constitution of Transnistria, Article 12". President-pmr.org. Retrieved 2012-05-22. ↑ "Stechishin-1958". Wals.info. Retrieved 2012-05-22. 1 2 3 4 5 6 J. B. Rudnyckyj. (1963) . The Position of the Ukrainian Language among the Slavic languages. In Ukraine: A concise Encyclopedia. Toronto: University of Toronto Press. pp. 445–448.